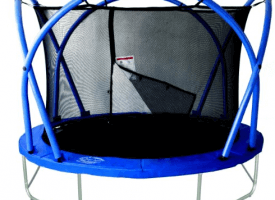 BouncePro 14ft round trampoline is a trampoline aiming mainly for children as potential jumpers. As previous BouncePro models were involved in recall issued by CPSC in 2012, BouncePro did a lot on improving new generation of trampoline with improved safety -together with correcting flaws and errors they have also presented new safety feature included called “Spinner Flash Litez” – spinning and flashing led lights which are attached underneath trampoline creating glowing center point. 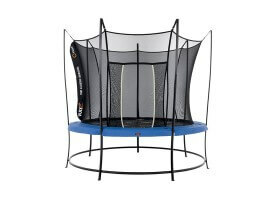 Not only this creates extra playing value for kids it also acts as safety measure as children then stick in the center of a trampoline, exactly on place which is intended for bouncing. 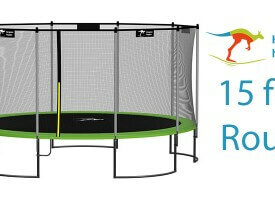 BouncePro trampoline with “Spinner flash litez” gives extra value for money by offering something slightly different. While on a long term children will stop using it we agree that it does help kids to love this trampoline even more. And whilst every minute they spend working out is good for them, we will reward BouncePro with some extra points for creativity. Warranty is only 90 days (2 years on steel frame) – while competition offers at least a year of full warranty at BouncePro decided that 90 days will be enough. 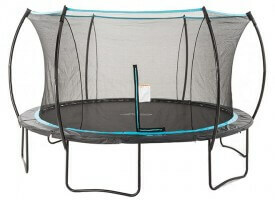 Honestly, we agree with it as during this period you can clearly see if everything is OK with trampoline or are some parts missing or defective. But minus points for that! Height of the trampoline – as BouncePro 14ft trampoline is pretty tall they should really think to include trampoline ladder in this set. We strongly encourage you to buy it or prepare something to help kids climbing in and out. Not interested? 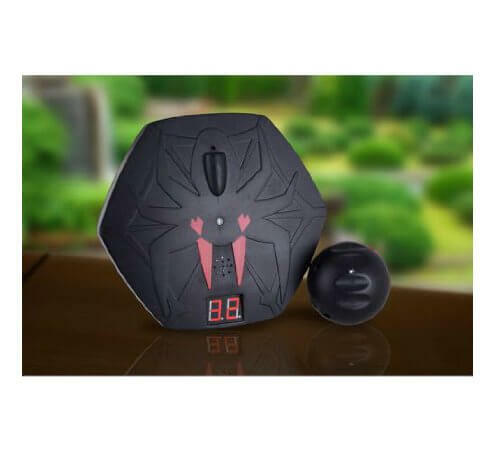 Check other reviews! 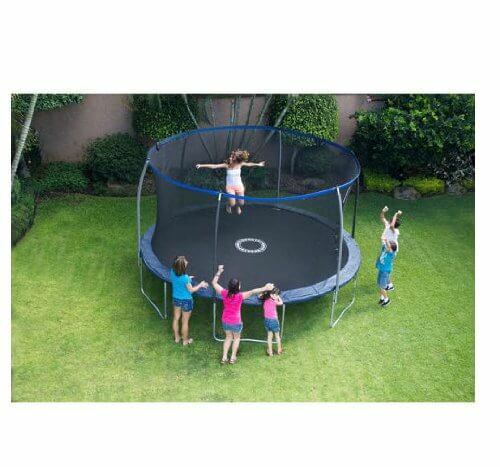 Great trampoline for young kids. Accessories like Spinner Flash Litez is good thing to keep kids interested in trampolines.